All the European Gardens are planted by our own designers. Each garden is given the same care as our floral designs. 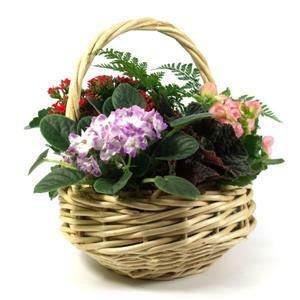 This handled, willow basket is filled with an assortment of tropical green plants, a blooming plant and finished with a ribbon. The plants may vary as we always choose the healthiest, easy care plants available.